Our 2016 Spanish Formula One Paddock Club™ and Team Hosted Hospitality packages, represent the pinnacle of the Formula 1 VIP hospitality we have on offer for the Spanish Grand Prix, to be held at the Catalunya Circuit in Spain! All our Formula One Paddock Club™ VIP hospitality packages detailed below, are available to both individuals as well as VIP corporate groups. 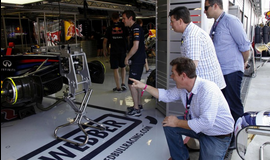 Should you decided to book any of the Formula One Paddock Club™ or Team Hosted Hospitality packages options below – no further Grand Prix race tickets as listed in our Spanish F1 tour package will be required. 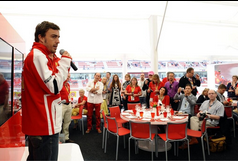 * Please note: All the 2016 Spanish Formula One Paddock Club™ and Team Hosted Hospitality packages above are payable in full on booking.